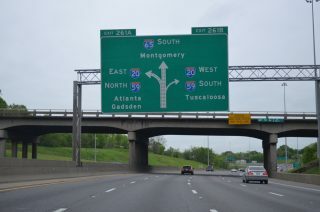 Interstate 65 south at Interstates 20 & 59 in Birmingham, Alabama. This interchange is locally known as “Malfunction Junction” due to left side ramps. Photo taken 04/14/13. 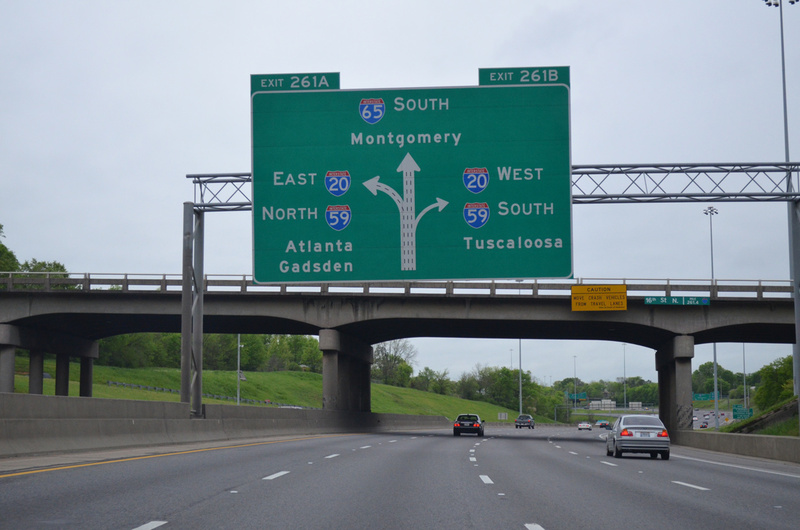 The exchange between Interstates 20-59 and 65 in Birmingham is unique in that the roadways of both freeways switch sides in order to make the connections with one another. The junction between I-95 and 695 on the east side of Baltimore used the same design until the Express Lanes were constructed from 2006-14. 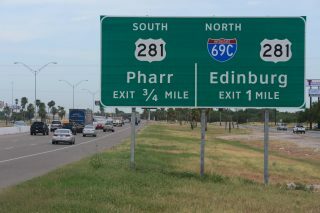 Approaching the south end of Interstate 69C and U.S. 281 on Interstate 2 east in Pharr, Texas. Photo taken by Jeff Royston (08/19/13). Interstate 69C is a Congressionally Designated route. 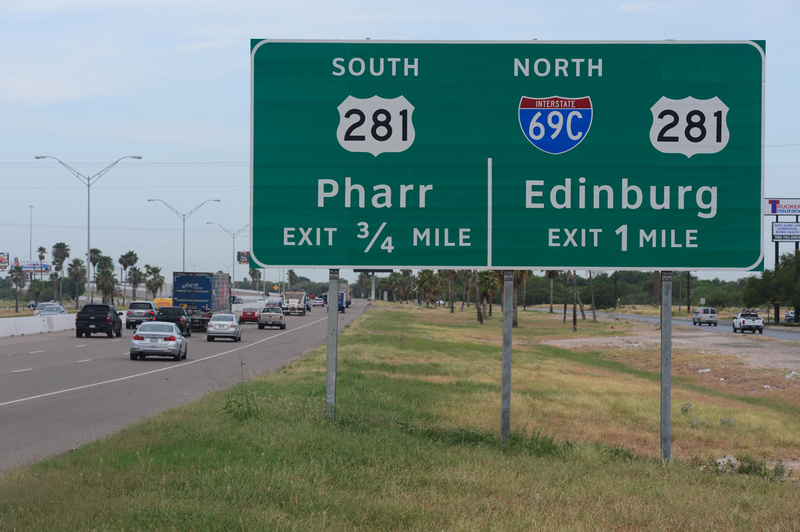 As such it is exempt from the AASHTO numbering convention in that no Interstate shall be designated with a lettered suffix.